The Oakland Raiders went into the Denver hoping to end their offensive drought against the Broncos’ stout defense on Sunday, but were unable to bounce back as the team fell 16-10 on Sunday. Derek Carr and the Raiders offense struggled once again in the game on Sunday, continuing their drought into the second quarter of their matchup against the Broncos. 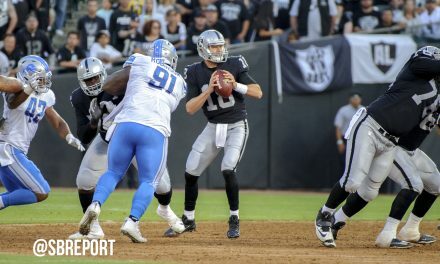 Carr didn’t find any rhythm until he found wide receiver Johnny Holton for a 64-yard touchdown and an over-the-shoulder touchdown to bring the score to 10-to-7. It seemed as if the score would get the offense into gear, but things would end quickly for Todd Downing and the Raiders offense. But then the Raiders offense would take a big blow. A week after taking three sacks, starting quarterback Derek Carr would take another on Sunday while appearing to take a knee to the back. Carr would leave the game and head to the locker room without coming back. Much like last year, head coach Jack Del Rio would gamble on 4th and 11 with a fake punt to punter Marquette King but the Broncos would be all over it and tackle him for a loss. Adding insult to injury, King would be called for a taunting penalty before turning the ball over on downs. Carr would not return and backup EJ Manuel would have to come in with him. Manuel would struggle to find any rhythm until the fourth quarter when he finally was able to move the Raiders offensive squad into Broncos territory. Facing a 3rd and 10, it looked as if Manuel would get the Raiders back into the end zone but tight end Jared Cook wouldn’t come up with the pass in the end zone. Instead, the Raiders would have to settle for a field goal to make it 16-to-10 with just over five minutes left in the game. Needing their best drive of the game, defensive coordinator Ken Norton, Jr. dialed up his best defensive series of the game forcing a three-and-out. Down six with a little over five minutes left in the game, Manuel and the Raiders still had a chance to win the game after a difficult game. 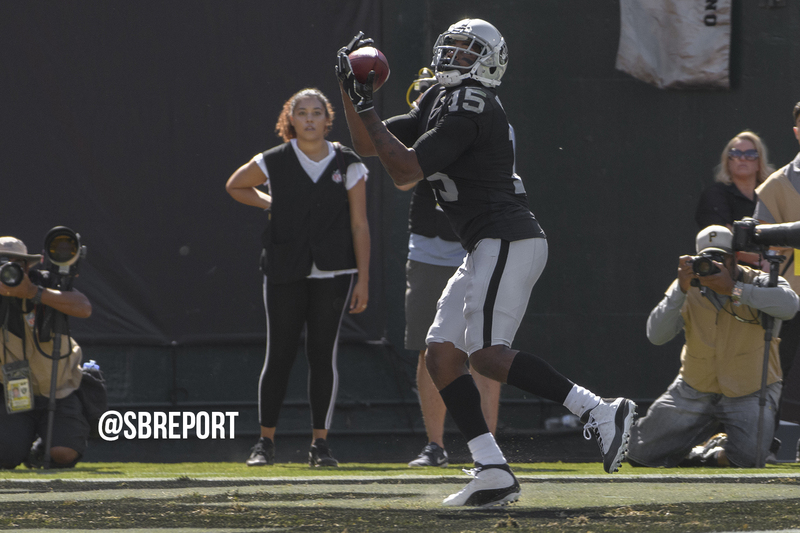 Following the two-minute warning, a costly false start by wide receiver Seth Roberts backed the Raiders up to 1st and 15 with no timeouts left. Just two plays later, Manuel thew a all up to Amari Cooper and was picked off by defensive back Justin Simmons to secure the Broncos win. 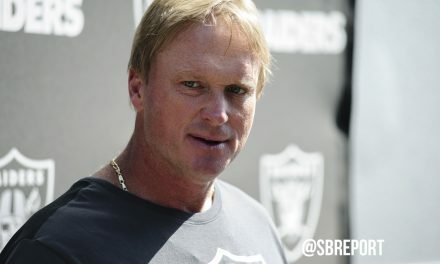 With the Raiders out of timeouts, the Broncos would run the clock out to send the Raiders home with an even record of 2-2 following another road loss. The Raiders will take on the Baltimore Ravens at the Coliseum next week.